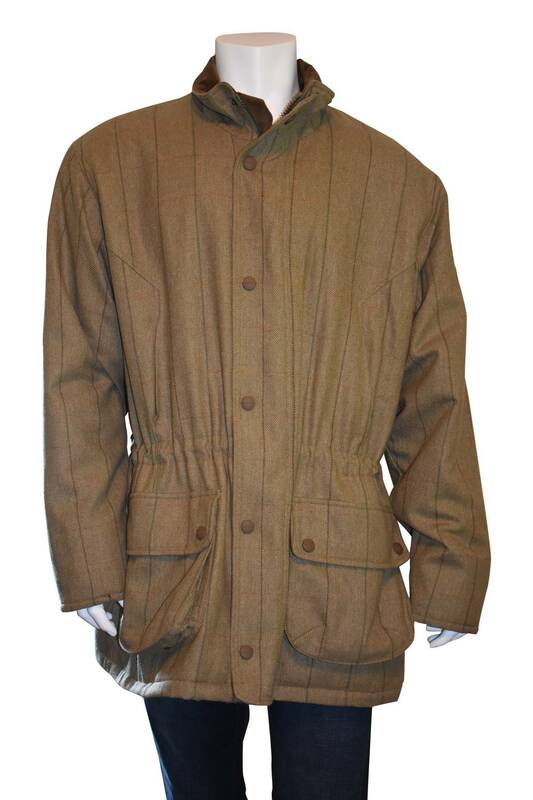 Barbour Berwick light tweed herringbone jacket in olive green with red window pane pattern. Waterproof drop liner with taped seams. Two-way front zip under studded storm fly front. Set-in cuffs with elasticated wind cuffs. Hand warmer pockets fitted with retainer straps. 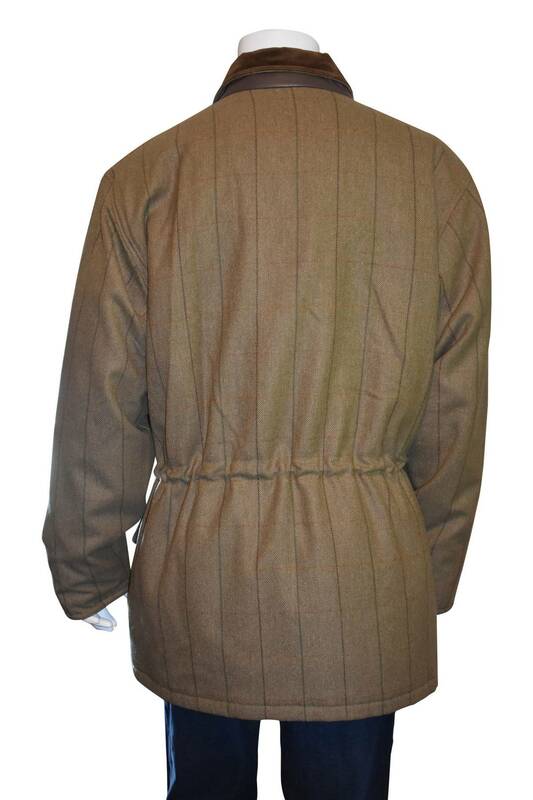 Lower cartridge pockets with stud fastening flaps. Adjustable draw cord at waist. Polyamide inner drip strip. Inner zipped pocket..